Did you guys heard about Malvani Cuisine ? 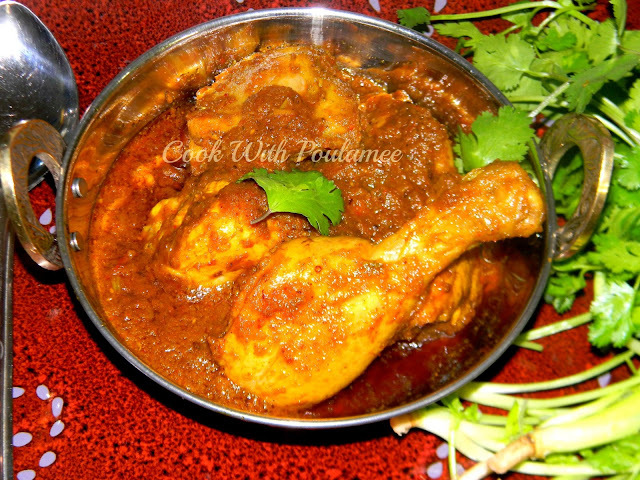 Malvani cuisine is the main cuisine of Concan region of Goa and Maharastra. Malvani Cuisine is mix of Maharstrian and Goan food. Malvan is a small city of Sindhudurg district on the west coast of Maharashtra. (info from WIKIPEDIA). Malvani cuisine is famous for using varieties of coconut (fried, paste or grated) and lots of dry whole spices. I tasted Malvani Cuisine first time in Pune long time back but still I remember the smell of the dish. 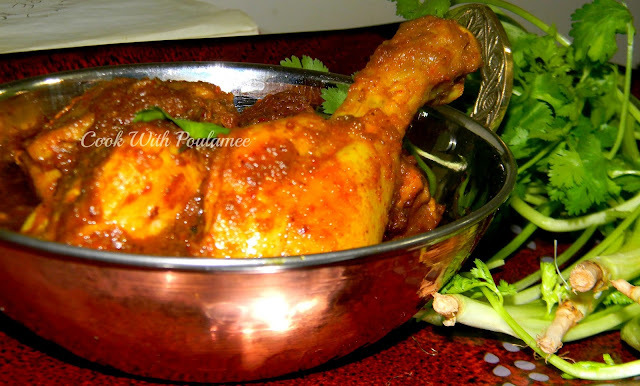 As I told before I love to do experiment with my chicken so last night I prepared some MALVANI CHICKEN. A very old and authentic way they used to cook the chicken and specialty of the dish is lots of spices. 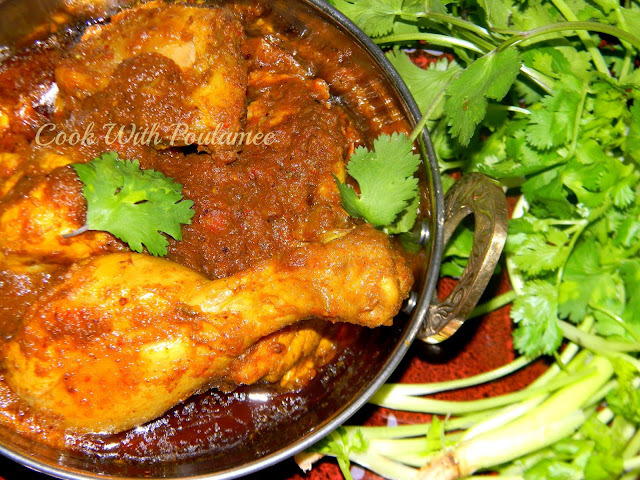 I made a special Malvani masala which is the key ingredient of the dish. Try it you will fall in love with the dish. 2.One large onion (half chopped half diced). 5.Ginger, Garlic, Green chili and Coriander leaves paste: Half cup. 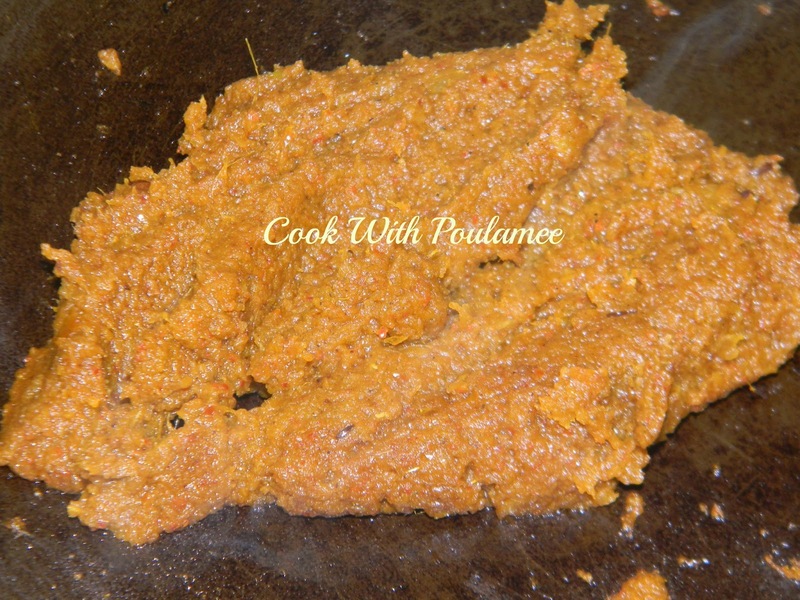 7.Turemric powder, Kashmiri red chili powder (one tea spoon of each item). 8.One tea spoon garam masala powder. 1.One tea spoon Corainder seeds, 2 to 3 dry red chili, One tea spoon mustard seeds, Half tea spoon fennel seeds, Half tea spoon shah jeera, Small piece of dry turmeric, One cinnamon stick, One star anise, 2 green 2 black cardamom, few saffron stands. pinch of asofoeita. Add phew drop of oil in a pan and slowly add all the spices one by one except red chili and coriander seeds, Let it become cool now put everything in a grinder and add dry red chili and coriander seeds and make a nice powder with this. Your Malvani Masala is ready keeping it in an air tight box if you make more. 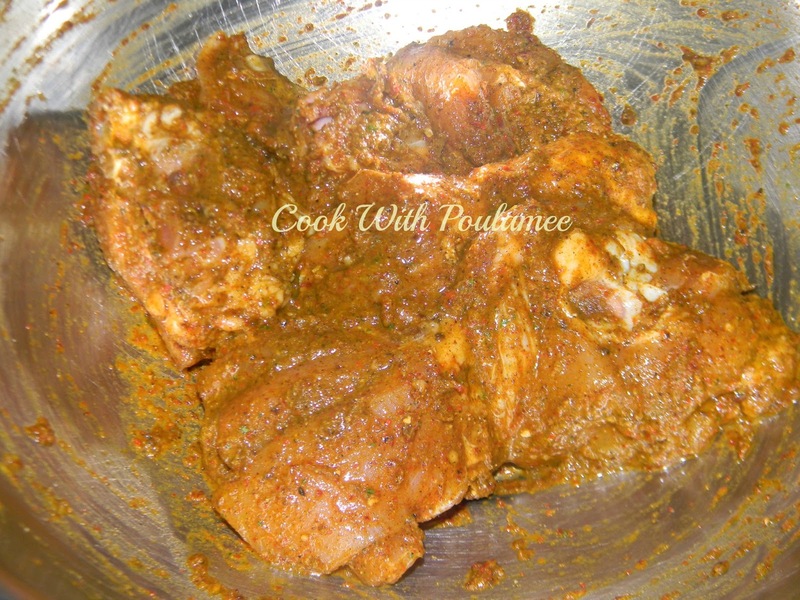 Wash and clean the chicken pieces nicely now marinate the chicken with half of the ginger garlic green chili coriander paste, half tea spoon of turmeric powder, Half tea spoon of Kashmiri red chili powder, Half of the Malvani Masala, Half tea spoon garam masala and some salt for about 1 hr. Now in a grinder add half of the diced onion, half chopped tomato, grated coconut and rest of the ginger garlic chili paste and make a paste with that but avoid grinding completely. (Leave some zest). Now add some oil in a pan and add all the rest of the spices (turmeric, red chli malvani and garam masala) and stir for some time now add the onion coconut paste and cook it till the masala become dry completely and keep it aside. Now take one vessel and add some oil when the oil become hot add the chopped onion and cook till the onion become transparent now add the chopped tomato and cook for few mints. Now add the marinated chicken pieces and cook for some time then add the some sugar and slowly add the fried onion coconut and masala mix into the vessel and mix well, Cook for 5 to 7 mints. Now add enough water and some salt and sprinkle some chopped coriander leaves and cook it with a lid for 15 to 18 mint. 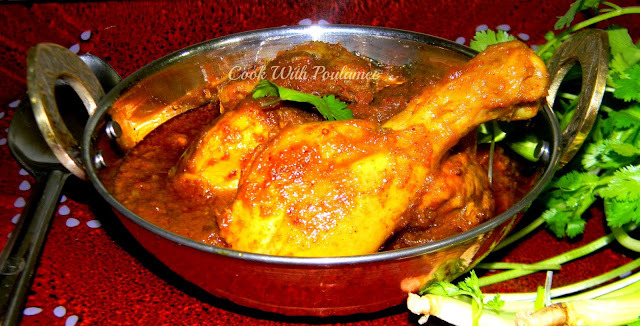 Turn of the gas and serve your Aromatic MALVANI CHICKEN with some Home made roti.